Today seems to be mostly about Black Friday. Not a concept that exists in the UK, but in the US, Black Friday is huge. It’s a massive selling day where shops offer large discounts to entice shoppers in after a day of stuffing themselves with turkey. I suppose it’s a bit like Boxing Day, the day after Christmas Day, in the UK. Although I don’t think Boxing Day is quite the shopping mecca it once was. 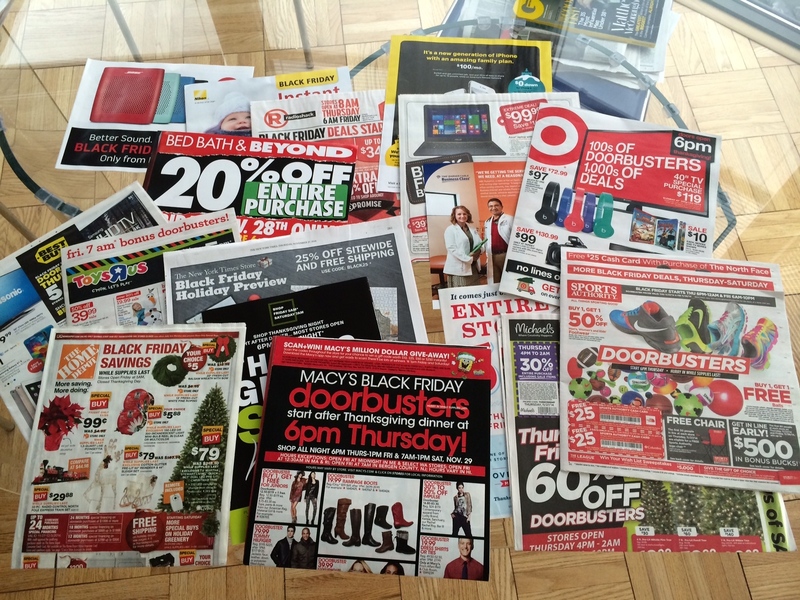 In my New York Times this morning, there were 18 separate pieces of advertising making the newspaper bundle on my doorstep super thick. Here’s what it looked like: this is Black Friday on Thanksgiving. Categories: Advertising, Holidays | Tags: advertising, Black Friday, Sales, Thanksgiving | Permalink.